Enterprises deploying Digital Transaction Management (DTM) solution improve the customer journeys overnight, reducing time-to-contract from days to hours. Replacing paper documents with electronic ones for contracts internally and externally profoundly speeds up the business. DTM goes beyond content and document management to include e-signatures, authentication, and nonrepudiation; document transfer and certification; secure archiving that goes beyond records management; and a variety of meta-processes around managing electronic transactions and the documents associated with them. 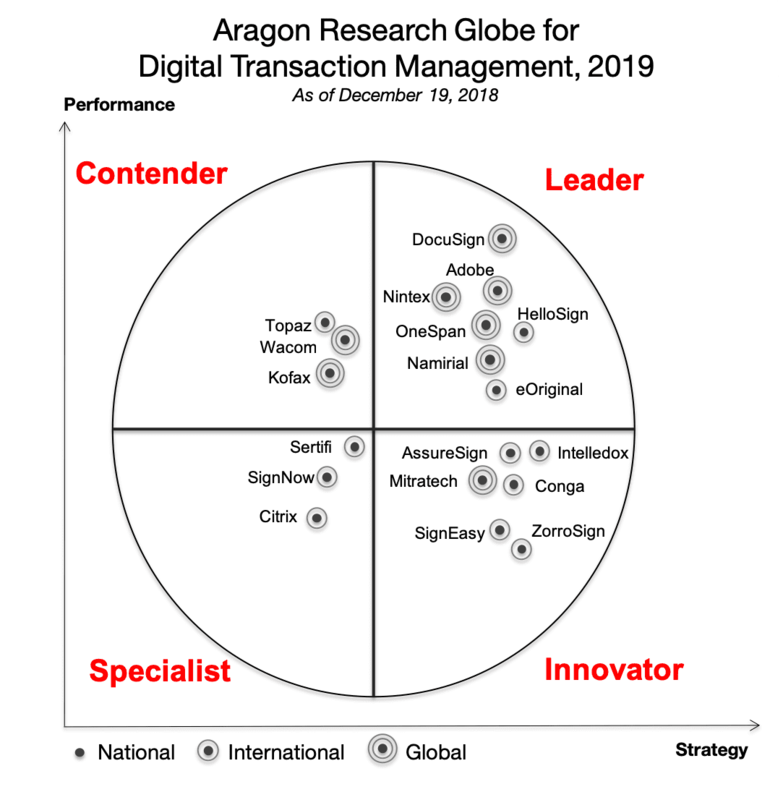 This report recognizes and evaluates 19 DTM technology vendors Aragon views as key to enabling enterprises to manage their digital transactions. For the third year in a row Namirial has been identified as a leader in DTM.